Shorter AME Church was organized in 1868. Two women, Mary Smith and Mary Randolph founded the church. The original members met on the South Platte River in 1863 until the Church was given land located at 19th and Holiday (now Market Street) by a major Fillmore, an officer in the Union Army during the Civil War. The church began as a log cabin at a time when Denver, Colorado itself had only about 3,500 residents including less than 150 African Americans. There were eighteen founding members. Six of the members served as trustees: Gibble Burrel, Samuel Cook, Alvin Cummings, Gilbert Phelps, Lewis Price and Irving Williams. Initially called First Colored Church, it changed its name to St. John AME in the early 1870s. In 1880 the name was changed again to Shorter AME in honor of the AME presiding Bishop James A. Shorter. The cabin at 19th and Holiday served as the church home until 1878 when a larger brick building was constructed on 19th and Stout Streets for a cost of $2,000. As Denver grew the church was sold for $15,000 in 1886 to make room for what would eventually be the U.S. Court House. Despite their profiting from the city’s rapidly expanding population, the congregation struggled to find a new home due to neighborhood opposition to having an African American institution in the area. The Church bought property at 24th and California, then 17th and Glenarm Streets, and finally 19th and Lincoln Streets. In each instance the congregation was not able to build an edifice because of the opposition of white neighbors. Ironically, however, each property sold for a substantial profit as the congregation moved on to the next location. In 1887 Shorter AME was finally able to purchase land and build at 23rd and Cleveland Streets. The new brick structure was completed on August 5, 1889. This edifice would remain the home of Shorter AME until April 9, 1925 when it was destroyed by a mysterious fire. Many church members believed the Klu Klux Klan was responsible for destruction of the church but no evidence could be found that linked the terrorist organization to the church burning. For the next year the members of Shorter AME shared worship facilities with Peoples Presbyterian, a predominately white church. On April 4, 1926, the congregation moved into a new church building on the site of the previously burned structure. They remained in this location until 1981. 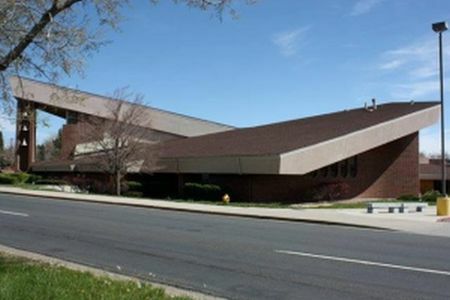 The Church settled into its current location at Richard Allen Court and Martin Luther King Boulevard, known as Freedom Crossroads, in June of 1990. Shorter AME Church also owns and operates the Richard Allen Center Corporation, the Richard Allen Gardens Senior and Handicapped Housing Facility, and the Bishop Richard Allen Center Community Classroom and Meeting Facility. (1938, May 10).”Mortgage Burning to Mark Shorter Church Anniversary,” Denver Post, May 10, 1938; Angel Hernandez, “Building a New Home,” Rocky Mountain News, December 5, 1988; Gary Massaro “Church Building on Past,” Rocky Mountain News, November 11, 1989; “Virginia Culver Interview,” Denver Post, June 23, 1990; Gary Massaro, Shorter AME: A Tradition of Dignity. Rocky Mountain News, March 1, 1993. Research also retrieved from: http://www.shorterame.org/pc/about.html.